« NWL KC Television Taping – 6/24 – Meeks/Royal vs. 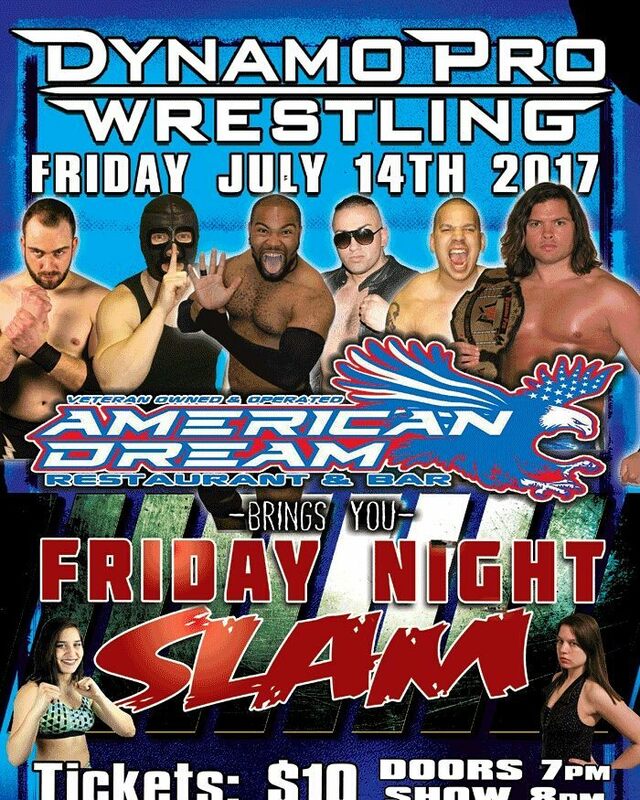 Blood Bros.
July 14th Dynamo Pro Wrestling will debut in Richwoods, Mo at the American Dream Restaurant & Bar! Come out for an exciting night of action. Plus many more @Dynamopro stars! Tix only $10 for Adults and $5 for Kids — at American Dream LLC. This entry was posted on June 22, 2017 at 4:22 pm	and is filed under Uncategorized. Tagged: Brandon Aarrons, Dynamo Pro Wrestling, Karim Brigante, Missouri Wrestling Revival, MWR. You can follow any responses to this entry through the RSS 2.0 feed. You can leave a response, or trackback from your own site.